Under the IceCap is one of a series of creative outcomes resulting from the Bio_Logging Art + Science project at the Institute for Marine and Antarctic Studies at the University of Tasmania. In the current phase of our work we are visualising and sonifying complex bio-logging data collected by Elephant Seals on their deep dives under the Antarctic Ice shelves (to depths of 2000 m) and their long Southern Ocean transits (over thousands of kilometers). We are exploring novel ways to make these data-sets palpable, by manifesting them as a series of experimental music concerts. Each concert in the series is designed to test the hypothesis that musical training is particularly well adapted to negotiate complex streams of data unfolding in realtime. We are experimenting with ways for musicians to respond to data-generated 3D mappings, visual scores and direct data sonifications and we are listening for the potential resonances and confluences that bridge the data and the sonic response. This presentation summarises the first concert, Vox on the Rox (April 2012) at the Conservatorium of Music (Hobart) which will be followed shortly by Dots on the Rox (August 2012, to be presented as part of Australian National Science Week). Taking an ecological approach to observing patterns in time and space systems is a very current direction to tackle environmental issues. This discussion focuses attention on observations of an historical nature as well as considering emerging patterns in our individual and collective attitude to Nature, ecology and the environment. Recently, several projects – highly evolved in both concept and process- emerged. Some of these case studies are used as primary foci of exemplification in order to explain the dialectics between Humanity and the environment through artistic capture. These dialectics also bring into relation the significance and future implications of fledgling initiatives in regions where cognition of environmental activism by artists is less advanced. Consequently, this exploratory essay has a long, complex and sometimes elastic time-line, yet nevertheless proposes an underlying correlation tying the diversity of perspective together as a way of indexing Humankind’s relation to Nature on a social and cultural basis. Nowhere is this more apparent than in the main goal of Eco-activist art to re-Frame complex issues so that they maintain essential meaning while the process itself facilitates attitude changes to the environment – mainly through positive social innovation leading to social change. This special session of 3rd nature involves six presentations from Europe. It occurs on Friday, February 1, 2013 8-9 pm, from Belgium, Germany, Spain and Austria and simultaneously Saturday, February 2, 2013, 8-9 am in Taranaki, Aotearoa New Zealand. This session occurs immediately after the Tomo Whakaari (Dawn Opening) for the 3rd nature exhibition has completed. At the epicenter of culture, gardening and technology we might be able to see how plants can become organisational principles for human society in the turbulent times of the 21st century. Although we have to scavenge the fringes of contemporary society, we can observe many healing effects that humans can have on their surroundings through a symbiotic collaboration with plants. People offer a helping hand to a struggling habitat through “natural farming” (Fukuoka 1990). Others design whole lifecycle systems inspired by natural processes, based on the art and science of bio-mimicry. However, on a systemic level, we still don’t know how to overhaul wasteful human behaviors en masse. How do we encourage a more resilient culture, so that humans and non-humans can continue living, preferably together? How do we stimulate a fertile entanglement of culture, gardening and technology that can give the rise to diverse and holistic communities of practice? Communities, are capable of forging symbiotic relationships between postindustrial human societies and the rest of the earth. Composting bitterness to grow beauty. Maja is a generalist, with a background in Design Forecasting and Interactive Media. Maja is the founder, principal invigorator and chef de cuisine of FoAM. Prior to FoAM, she experimented with MR & VR in research institutes across Europe (GMD, CWI, Starlab), lectured (HKU), as well as collaborated with technological arts collectives such as Post World Industries and Pips:Lab. Her particular approach to people & technology has been recognized by the MIT’s Technology review & the World Economic Forum, awarding her the titles of Top 100 Young Innovator (1999) & Young Global Leader (2006). Her current interests span alternate reality storytelling, pata-botany, resilience, speculative culture and techno-social aspects of food & food systems. If technologies have always formed and informed our attitudes towards and relationships with nature, this is also true for the way we’re commuting and communicating the latter. But what does this mean exactly when looking at “human-plant relationships in the electronic circuit” – and at (DIY-) experiments with electricity, electronic media and network technologies in gardening and agriculture? Verena Kuni is scholar in the field of history and theory of art and media cultures and professor for Visual Culture at Goethe University, Frankfurt Main. Since 1996 she is lecturing, researching and teaching at universities and art academies in Europe and beyond. From 1995 to 1999, she co-curated the video section of Kasseler Dokumentarfilm and Video Festival, where since 1999 she is director of the yearly interfiction summit for art, media, and network cultures. Her research is dedicated a. o. to transfers between material and media cultures; media of imagination and technologies of transformation; alternate realities; urban biotopes; DIY and prosumer cultures; games, play and toys as tools. She has published widely (print & online) on contemporary arts & media, their histories and futures. Since 1997, she also runs her own radio shows. Econodos (a laboratory in the open fields) is an open platform for creators, artists and designers working on art and nature relationships. It is a knowledge exchange network that tries to visualize new ways of dialogue with the biosphere and to develop eco-technologies. In an inter-disciplinary and multi-technique way, it integrates design, architecture, biology, music and informatics. It works in the field of communication, social mediation, research, documentation and creation, developing collaborative activities (workshops, exhibitions, artistic interventions, social participation dynamics and public spaces-debates). The nodes operate as a knowledge-net, focused on the ecological, social and technological challenges that today’s society is faced with, while being anchored in three ecological registers –environment, social relations, human subjectivity. Projects developed are based upon new paradigms of the relationship between humans and nature, the increasing importance of urban agriculture and the role of art as innovative imagination and communication instruments. Is an experimentation laboratory at the intersection between ecology, art and open electronics. It is a project that generates subjectivities and dynamics in relation to the biosphere and its ecosystems, through the implementation of eco-technologies (high-tech and low-tech). it works at LABoral Centro de Arte y Creación Industrial, Gijón, Asturias. Greencity: Urban recepies in the limits between the urban and the rural; self-sufficiency, autoconstruction, DIY, harvesting the city, greening the surroundings. The same gardens: How are the artistic perspectives used politic tools on the praxis of social and environmental praxis? ¿Can aesthetics play a key role on these processes? How and why contemporary artists use new and emergent green spaces in the cities? To what extent are these visions another utopia fantasy? Biohacking: Reflections abut life, interpersonal relationships and philosophical meaning. How can scientific advances change the way we understand ourselves and our human beings ideals? What does the development of biotechnology mean for the human species in how we relate to each other and perceive the non-human environment? To what extent do the powerful new ways of manipulating life, separate the capacity for production and reproduction of living beings from the environment and the communities that they are historically immersed in? Graduated in Biology, specialized in Botany, Universidad de Oviedo, Asturias, Spain (1998). BHons degree in Fine Art, specialized in Sculpture and Environmental Art, Mackintosh School of Art, Glasgow University, Scotland (2007) Master in History and Sociocultural Analysis, Universidad de Oviedo (2012). Currently coordinates the project ecoLAB at Laboral Centro de Arte y Creación Industrial (Gijón) and is PhD Universidad de Oviedo in “Nature, Art and Society”. From 2007 to 2010, collaborated in Barcelona with the teams Ciutats Ocasionals, Sitesize and Idensitat on artistic and interdisciplinary projects on landscape and public space in contemporary cities. Have done artist residencies at Museum Manuel Felguérez (2007, Zacatecas, México) and Rubha Phoil Permaculture Centre (2005, Island of Skye). Worked for five years at The Hidden Gardens (regeneration and community project at Tramway, Glasgow). Trained in the fields of landscaping and social work in Switzerland and Majorca from 1999 to 2001. This title is programmatic for all the work we (the whole ESC-Team) do on a daily basis. In daily life, the decisions we take, the way we treat our surroundings, shows who we are. It was also the title of a show in 2011. The central task of ESC is to produce and present art; the main emphasis is on the precise observation and seismographic capture of artistic processes that examine sociopolitical developments (information technology and biotechnology, socioeconomic systems) and new technologies (hardware and software). The topic of Connected Open Greens is the implementation of contemporary art pieces by usage of gardening situations, especially looking into micro-sociological and ecological systems related to time as starting points for the development of new artistic practices. Community gardens provide access to fresh produce and plants as well as access to satisfying labor, neighborhood improvement, sense of community and connection to the environment. They are publicly functioning in terms of ownership, access, and management, as well as typically owned in trust by local governments or nonprofits. (Wikipedia) This approach should be used to introduce contemporary time-based art into local communities and environments that usually are not part of the artistic focus. Urban gardening thereby becomes a method to find alternative communication strategies for contemporary art. At the same time, technological and organizational knowledge from artists enters into the world of community-based local work. Inspirations for these strategies are collected from other art project and the TIK-partners, especially from OKNO with their experiences with their open green experiments. Based in Graz, Austria, Reni works as a media artist and activist, musician, composer, performer, organizer and activist in the fields of usage of (new) media, technology and politics in general, engaged in development of contemporary art. Co-founder of ESC (artistic director), Radio Helsinki (community radio in Graz), mur.at, member of Institute of Media Archeology, 42 (artists group), /etc. It is remarkable to see how a bee population functions and evolves in accordance to the human activites we are developing around them: gardening and urban agriculture. Honeybees are very responsive to the different biotopes that we share they are good bio-indicators. Therefore we want to gather insight into what constitutes the diversity of our surrounding living place and research this on a deeper level. We developed yet different tools for identifying the specificity and relatedness of plants, insects and human activities. Adding new sensor networks to our Connected Open Greens distributed garden database, we hope to portray the surround Brussels Canal Zone, as it is changing over time into a continuous productive urban landscape. With this new project, Corridors, in which city honeybees play the leading role, we want to research how the sustainability of cities can be increased in the future, and how citizens can be actively involved. 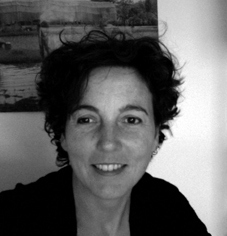 Annemie Maes, media artist and activist, holds master degrees in fine arts and cultural studies. Her artistic research and cultural activism projects are publicly presented as ‘politics of change’ with a focus on actual topics as ecology and women empowerment. Most of the projects are linked to the problematization of new art in public space, from a socio-cultural background. Annemie Maes is co-founder of Okno, an artist-run organization working with media art and ecology. Her recent research work focuses on Corridors & Connected Open Greens, both transdisciplinary projects at the intersection of art, biology and green technology. KRA – Kravín Rural Arts is an emerging residency center based in a former cow-house in a small Czech village. Based in rural area, we are forced to work with “indigenous” people, the “locals”. The necessity to confront various “cultures” is obvious. Our aim is to use the means and tools of arts to challenge the local 3 ecologies (environmental, mental, social, as described by Félix Guattari). We fight the mortification of traditions by inserting new living traditions. We organize walks with artists sonifying fences and trees. Walking is the basic tool for acquiring pieces of local knowledge, “solvitur ambulando”, solving problems by walking and talking. We urge other artists to play on barrels, on the wind, on local broadcasting system. We construct beehives. We input ourselves as artists and researchers, into our community, using camouflage of beekeepers, gardeners, denizens, who we became. While city bees have allegedly more honey than village bees, citizens consume more products from “farmers’ markets” than villagers. The villages are losing their apples, pears and cherries. The diversity, variability and fruit-fullness is what we are fighting for, armed with unholy trinity: ecology + media + art. Yo-yo is a non-profit organization started in March 2009 by collective of artists, curators and organizers. Since 2012 it is divided into two interconnected branches – Yo-yo urban and Yo-yo rural -, based in Prague and Hranice u Malče (Vysočina). Yo-yo is initiating and supporting the experiments at the intersection of art, ecology and media, across the rural and urban contexts. Our aim is to explore the new spaces for art, outside of the official art centers. Since 2010, it has been involved in developing the KRA (Kravín Rural Arts) project of residency center in the village Hranice u Malče in Vysočina region of the Czech Republic – a space for creation, meetings, and discussion, dedicated above all to ecological media arts. Throughout the 1980’s and 1990’s, a consistent theme of indigenous opposition reported by the Waitangi Tribunal introduces a spiritual and cultural perspective of environment that hitherto had not been considered in resource management decision making in Aotearoa New Zealand. Earlier claims made to the Waitangi Tribunal; Motunui, Kaituna, Manukau, Orakei, concerned themselves with engineering projects that were denigrating the water ecosystems and environment. Indigenous concepts raised in the Tribunal hearings for these cases included; the retention of intrinsic values / mauri; ‘Māori’ spiritual and cultural values; kaitiakitanga and manākitanga; and nga whakatipuranga / future generations of descendants. These early claims accumulated as a series of abandoned engineering projects that represented a significant waste of engineering effort, expended with an inadequate understanding of the full social and cultural context within which these projects were being proposed. There were also significant costs for the Hapū and Iwi forced to delay other commitments to challenge poorly thought through projects. Settlements for these successful Treaty claims made necessary the introduction of legislation that incorporated the lessons being provided from Indigenous Knowledge / mātauranga Māori. The Mauri Model acknowledges the valuable insights embodied in mātauranga Māori, and indicates how diametrically opposed cultural perspectives can be better recognised and engaged, even synthesised to facilitate better resource management decision making. This paper shows how the Recovery of the mauri to its pre-Rena state can be facilitated through the combination of scientific and indigenous knowledge, and can produce decisions that are robust and defendable from multiple perspectives. SCANZ 2013: 3rd nature takes place in New Plymouth Nga Motu and Waitara and consists of a wānanga-symposium, exhibition and residency. The symposium brings together people from around the country and the world for three days in February 2013. Intercreate Trust and event partner Te Matahiapo Indigenous Research Centre (TMIRC) are organising the symposium. Intercreate Trust has worked with the Ahorangi of TMIRC and WITT Dr Te Huirangi Waikerepuru, on a number of projects. From this has come the realisation that the solution to sustainability requires listening to the indigenous voice on the environment. Consequently Mātauranga Māori is interwoven through most of the symposium. Sessions of the symposium include: Mātauranga Māori, Science and Art; Environment; Society; Indigenous Cultures; Data, Art and Ecology; and Futures. Views expressed include those from a Social Work perspective on environment, barriers to sustainability, working with remote communities, the body and the environment, art and data, biotechnology , little blue penguins and ‘Martian diaspora’ – among many others. ‘Martian diaspora’ refers to a presentation by Haritina Mogosanu of KiwiSpace Foundation. Between 21 April and 5 May this year she attended a Mars expedition at the Mars Desert Research Station in Utah. She will present an overview of the experiments, reflections on hybridised culture in space and recommendations for the future development of non-Earth habitats. The aim of the event is to encourage discussion and debate about what can be done to resolve environmental issues. Current strategies alone are clearly not working. Locating the discussion in the context of indigenous culture and contemporary life is seen as important by the organisers. Day one is held at Owae Marae in Waitara, days two and three are based at the Western Institute of Technology at Taranaki. On day two the SCANZ exhibition 3rd nature opens at 6.28am at Puke Ariki. The third day includes time in Pukekura Park. Project partners include Western Institute of Technology at Taranaki, Creative New Zealand, Te Matahiapo, Govett-Brewster Art Gallery and Puke Ariki. 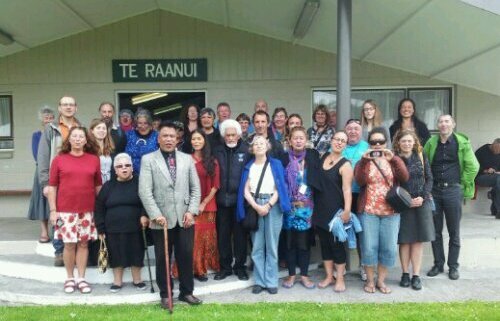 Representatives of local Taranaki groups including iwi (tribal group) will meet with representatives of ten universities and two New Zealand Research institutes in February 2013. The gathering is for SCANZ 2013: 3rd nature in Waitara and Nga Motu New Plymouth. Based on an excellent response to the previous symposium, day one of the wānanga-symposium is to be held at historic Owae Marae. Day two is at the Western Institute of Technology at Taranaki (WITT) and day three is split between WITT and Pukekura Park, where several creative projects will be viewed. Dr Te Huirangi Waikerepuru is a keynote speaker as is Nina Czegledy, an international artist-scientist who lives in Canada and Hungary. Staff of the Institute of Geological and Nuclear Sciences, and the Institute of Environmental and Scientific Research will present. The Taranaki organisations are: Owae marae representatives, Western Institute of Technology at Taranaki, Te Matahiapo, Nga Motu Marine Reserve Society, and Friends of the Waitara River Ngaa Hoa o te Muriwai o Waitara. New Zealand Universities include: Massey University, University of Otago, University of Auckland and Auckland University of Technology. International universities represented: University of Toronto, Duke University, Universität der Künste Berlin, Concordia University, Symbiotica (University of Western Australia) and Australian National University. International organisations include: Hackteria.org and the Australian Network for Art and Technology. Between the 21 April and 5 May 2012 a piloted Mars analogue expedition was organised by KiwiSpace Foundation at the Mars Desert Research Station in Utah. During the expedition, the crew undertook various analog experiments and interacted daily with students from New Zealand via the Mission Control Portal at Carter Observatory and the Mission Support Portal on the KiwiSpace website. From the expedition, resources for the New Zealand Science Curriculum – Earth and Space Sciences and Te Puutaio section of Te Marautanga O Aotearoa (the Maori Science Curriculum) are being developed. To engage the public in the mission, an interactive ESRI ArcGIS Online application was created which allowed users to follow the crew’s movements and explore the environment in Utah through an elevation profile viewer. GPS tracks, geotagged photos and various points depicting experiment sites and blog posts were highlighted on the map allowing the public to follow the journey as it progressed. Also during KiwiMars 2012, a joint operations simulation (Antipodes) between the OeWF (Austria), KiwiSpace (New Zealand) and the Mars Society (USA) was undertaken. Antipodes was a world premiere experiment simulating a loss of communication with Earth. A parallel landing party on the other side of Mars was requested to take over the coordination of an ongoing Extra-Vehicular Activity via their habitat, relayed via a satellite in Martian orbit until Earth was able to reestablish contact again. In this paper we present an overview of the experiments, reflections on hybridised culture in space and recommendations for the future development of non-Earth habitats for multicultural groups. In 2011 at ISEA Istanbul “Te Kore Rongo Hungaora: Uncontainable second nature” brought together for the first time, Mātauranga Māori (traditional Māori knowledge pre-colonisation) and Western science in the context of electronic art. Kaumatua (respected elder) Dr Te Huirangi Waikerepuru contributed “Te Taiao Māori” and Associate Professor Mike Paulin of the Zoology department in Otago University, exhibited a blu ray disc of selected portions of his “Computational Visualization of the Electromagnetic Sensory World of Sharks”. These two works were selected along with eight others, in accordance with five curatorial themes: cosmological context, all is energy, life emerged from water, anthropic principle and integrated systems. This paper provides images of the works in the exhibition and describes the ways in which the works intersected the themes. An unexpected outcome of the project was to find that the interconnections were many, rather than few. The Art of Engagement will address the role of the artist in technology mediated social participation with particular reference to partnerships between the arts, industry and communities in regional centres. This will be illustrated by examples from current projects in Queensland, Tasmania and Western Sydney. Having considerable experience in New Zealand, and in particular the Taranaki region, I would draw links between these examples and the local context.